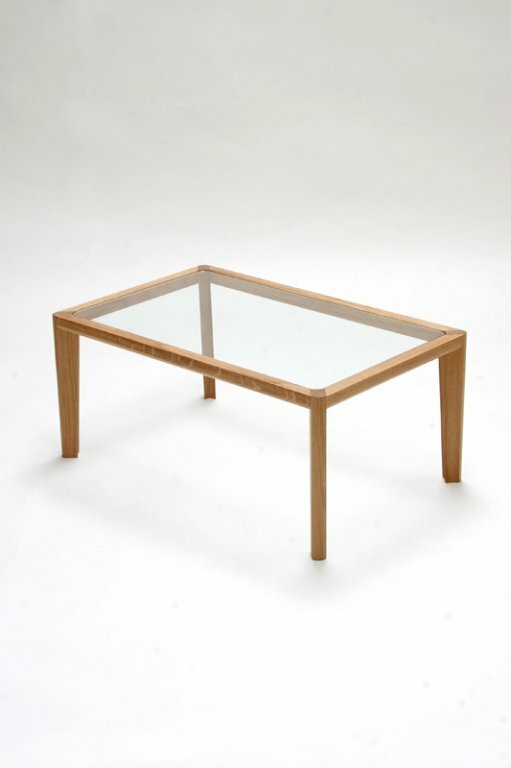 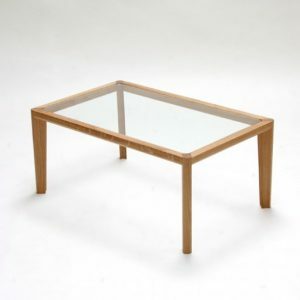 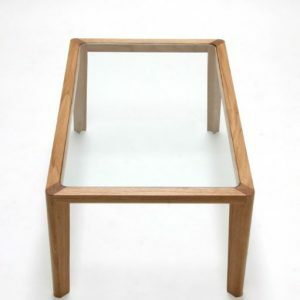 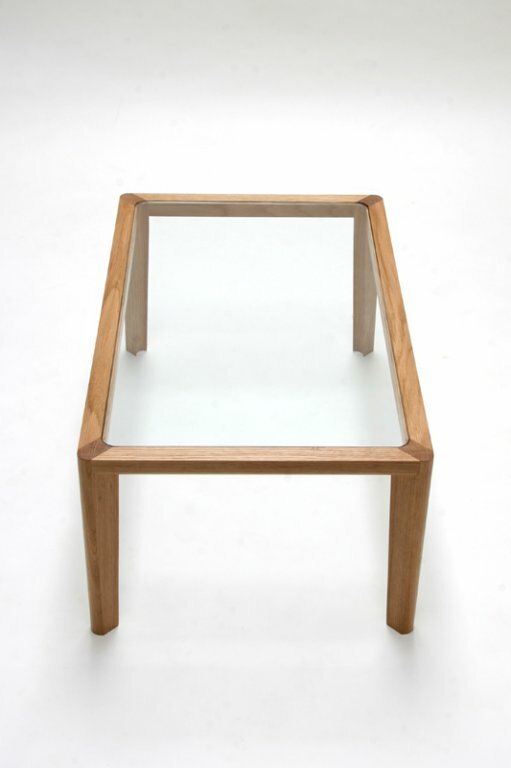 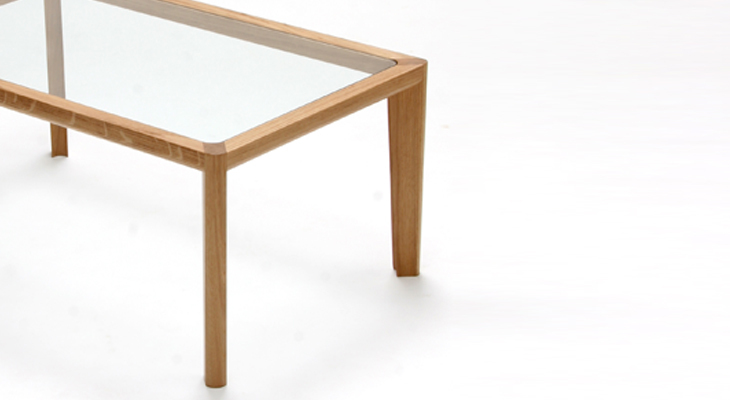 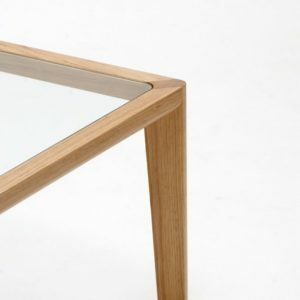 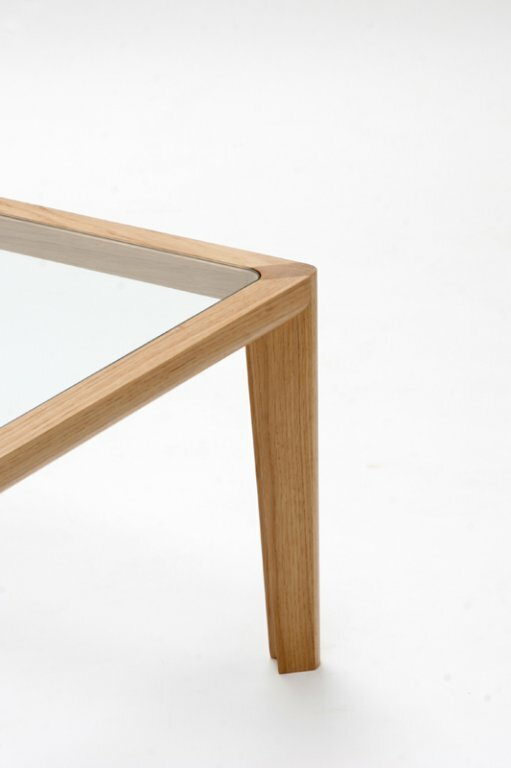 Description: A deceptivly simple oak looking coffee table with a glass top. 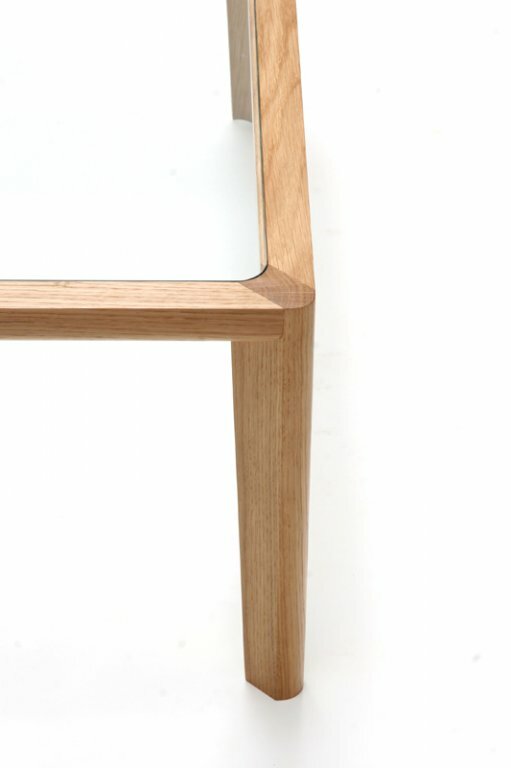 The rounded corners of the outside of the legs are echoed on the glass. 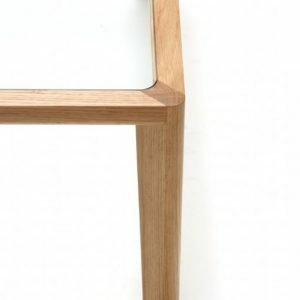 This shape then continues, carving a hollow flute down the inside of the legs.